Calgary located in the south of Alberta, 80 km east of the Canadian Rocky Mountains, is one of the most important economic hubs in Canada with numerous skyscrapers. Calgary is the largest city in Alberta, and most famous for its Calgary Stampede, an annual rodeo that attracts more than a million people every July. Calgary hosted the Winter Olympics in 1988 as the first Canadian city and hosted the Water Ski Championships in 2009. Calgary Tower is a 191 meter high construction located in downtown Calgary. The tower originally called ”Husky Tower” built to to celebrate Canada’s centennial of 1967. This tower, which is one of Calgary’s tourist attractions has a beautiful 360-degree restaurant with magnificent views of the city. 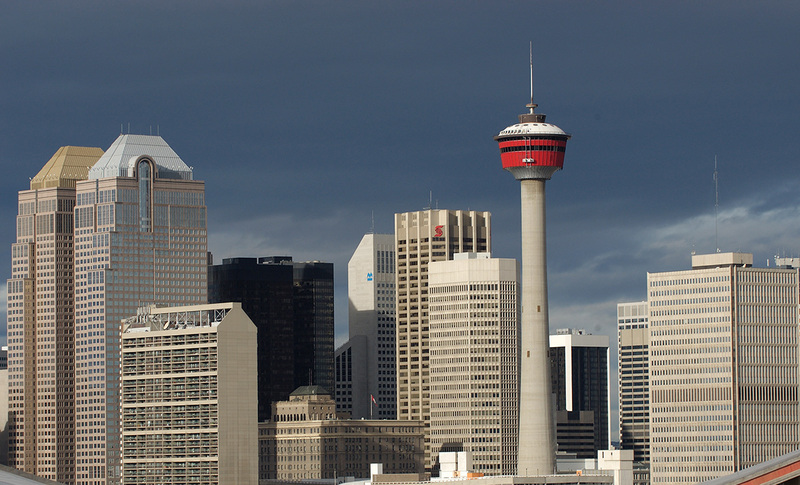 Calgary Tower was a founding member of the World Federation of Great Towers. The Art and Historic Museum of Glenbow in Calgary was founded in 1966 by Eric Lafferty Harvie. In 2007, the permanent Mavericks exhibition opened on the third floor of the building. The museum displays Alberta history through 48 effective characters. Heritage Park Historical Village, Canada’s largest living history museum is one the most tourist attraction in Calgary. This historical park exhibits span western Canadian history from the 1860s to the 1950s. Heritage Park Historical Village was opened in 1964, and most of the buildings are historic and moved from other places. Most of the structures are furnished and decorated with genuine artifacts. Staff dress in historic costume, and antique automobiles and horse-drawn vehicles service the site.